Do you have any recommendations for affordable HD cameras? I tend to tell people that, with electronics, one ends up having to do a bit of legwork before making any purchase. Unfortunately, you can’t always go just by brand, since all of the manufacturers have a lemon here or there in their product line-up. That said, technical review sites such as CNET or Videomaker Magazine make this work a lot easier for the non-techie. On CNET’s general camcorder site, you can drill down on various categories that fit your price range or needs. For more details, but less-easy-to-search reviews, Videomaker Magazine has a good site aimed more at the mid-to-upper end camcorder consumer. If a camera interests you, you can also take the make/model number and search for it on Amazon, just to get some alternative customer testimonials. Go with the highest quality that you can afford; from a technical standpoint, make sure that it is 1080p. That is the number used to measure line resolution; 1080p is the highest quality on an HDTV’s technical specification – you don’t need to know what the number/letter means, other than using it to recognize the top quality camera capabilities. Keep the lens optics in mind. Many cheap cameras offer 1080p resolution, but have inexpensive optics that result in an image that lack detail and, especially indoors, look ‘muddy.’ When I was growing up, an uncle of mine had a very high-end VHS camera in the late-1980s that captured video that impressed me a great deal when I recently transferred some old tapes to DVD. The optics on his camera’s lens was very good. Have a backup strategy in mind; you will be relived someday when a virus or hard-disk failure wipes out years worth of photos/videos that are on your main computer’s hard drive. Invest in a large – 1 terabyte or more – external hard drive that connects to the USB port on your Mac or PC. 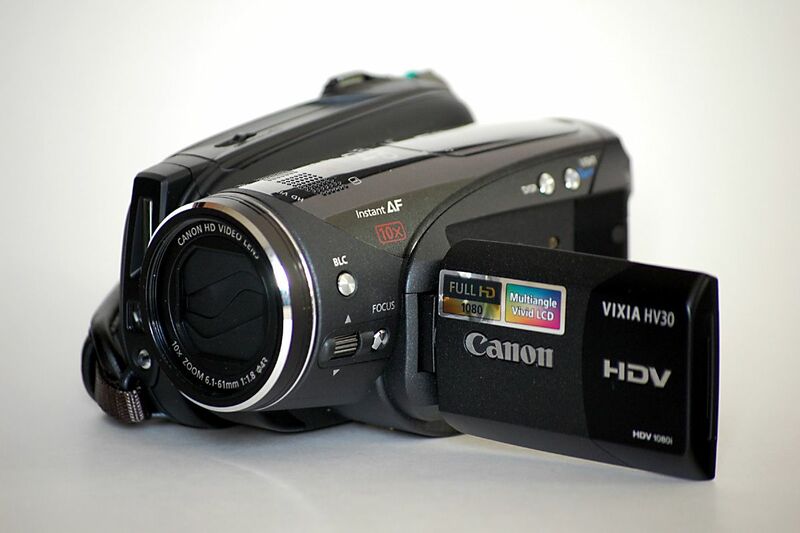 If you buy a camera that uses HD tape, plan to buy packs of tapes and use the HD tapes that you record for archiving. You can just put them in a box in a closet somewhere. If the camera uses flash memory cards, it is even more important that you have at least 1 backup option. I’m paranoid enough that my digital photos/videos are backed up 3 times – once on my main computer and two more times on two different external hard drives. In case of fire or other disasters, one of the hard drives is stored in an off-site safety deposit box that I share with my parents. That off-site drive tends to only get updated every few months, but it is better having 90% of my stuff backed up off-site somewhere rather than 0%. Drives (and cameras) are really expensive in stores like Best Buy, but you can find deals from time to time on reputable online sites like Amazon or Newegg. After you get the camera, read the manual and make sure that the camera is set to record at the highest quality possible. Usually cameras – both still and digital – default to a medium quality as a compromise between quality and space on your media. Due to how rapidly memory and digital storage costs fall year-over-year, it is best to just record or take photos in the highest possible quality setting. You’ll regret it years later if you do not.